Videos, examples, solutions, worksheets, stories and songs to help Grade 6 students learn how to add integers using the number line. The following figures show how to add integers using the number line. Scroll down the page for more examples and solutions. 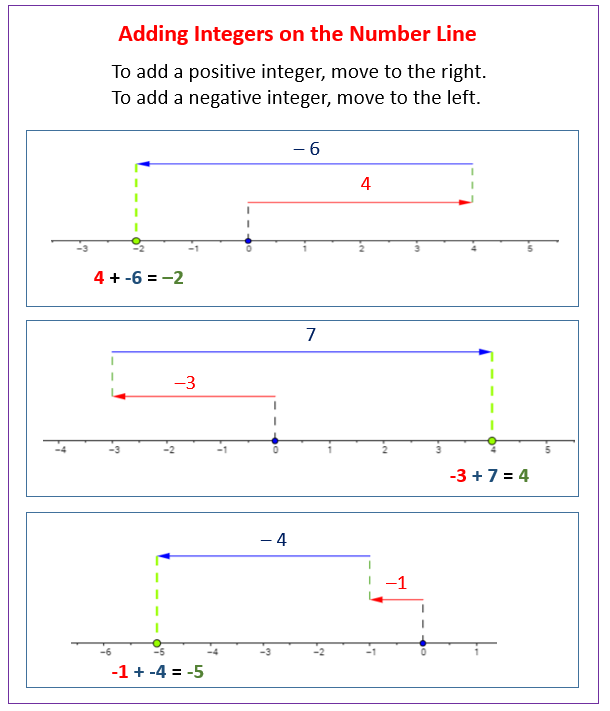 To add a positive integer, move to the right on the number line. To add a negative integer, move to the left on the number line. This video shows how to add integers using a number line. Using a number line is one way to think about what we are doing when adding / subtracting integers. It provides a nice visual representation of what we are doing.